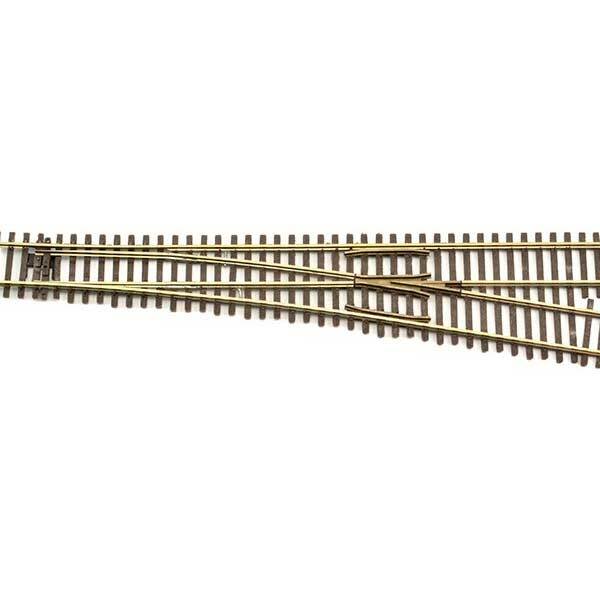 N Turnout (track switch) with DCC-friendly points, insulated cast-metal frog and snap-action throwbar. #6, right hand. Code 55 rail. All Micro Engineering turnouts match Micro Engineering Flex-Track and are ready to run. Turnouts are made of nickel silver rail, cast metal frogs and metal guard rails.